The second Test between England and India at Lord's is in danger of being ruined by the weather after only 51 balls were bowled before tea on the second day. It had been hoped that more play would be possible on Friday after rain washed out the first day but the conditions were little better. When the players went off soon after lunch, India had slumped to 15-3 and they are now 500/1 to win the second Test, while an England victory is available at 1/750 and the draw at 33/1. After England captain Joe Root had won the toss and opted to field first, Jimmy Anderson took two wickets before lunch to leave the tourists on the back foot. The veteran Lancashire bowler struck inside the first over when he bowled Murali Vijay for a duck. KL Rahul was dismissed in the seventh over for eight when he edged Anderson to wicketkeeper Jonny Bairstow. 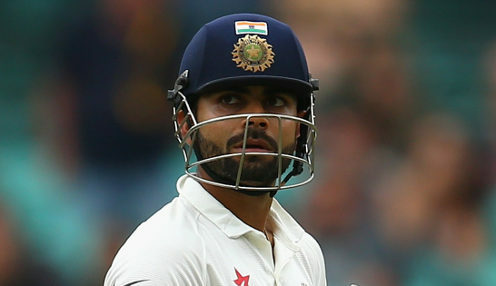 India contrived to lose their third wicket in farcical fashion in the few minutes of play after lunch. Cheteshwar Pujara set off for a single but Virat Kohli, after initially going for the run, had second thoughts and the former was run out for one when debutant Ollie Pope walked the ball to the stumps from point. Kohli was unbeaten on three but, with rain continuing to fall at regular intervals, the India captain may not have the opportunity to return to the crease on Friday.